Planning a Disneyland trip during the holidays can be difficult because there’s so much to do in so little time. 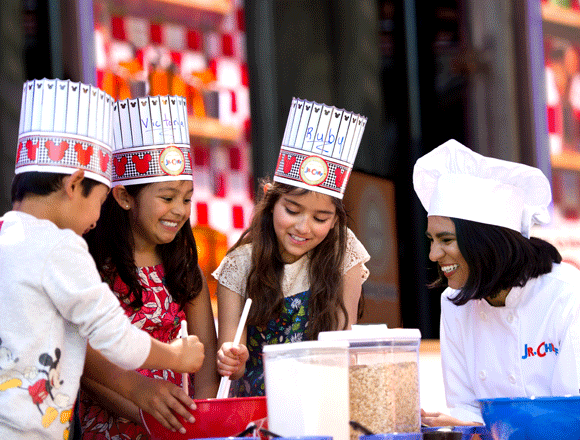 Deciding when and where you’ll go will help you maximize your fun at the Happiest Place on Earth. From November 9 through the first week of January, Disneyland transforms into a winter wonderland where you’ll see a special holiday parade, fireworks, and lots more. The closer to Christmas, the more expensive your getaway becomes, and the longer the lines will be for your favorite attractions. Beat the traffic by planning a trip sooner, and make your road to fun at Disney clearer. Create an itinerary that allows you to squeeze in as much activity as possible. Check the Park schedules for parades, shows, specials and more so you don’t miss out on the must-see events your family is eager to attend. It’s a Small World Holiday has over 250,000 lights on the outside of the attraction and another 30,000 inside. Plus, animatronic dolls sing Jingle Bells, Deck the Halls, and other famous Christmas numbers. Haunted Mansion Holiday, meanwhile, takes on a Nightmare Before Christmas theme featuring Jack Skellington and friends. It even has a fresh gingerbread smell, leaving you hungry and spooked all in one. Stirring music and snow sprinkles are the highlight of this annual show, culminating in 80,000 twinkling lights illuminating Sleeping Beauty’s Winter Castle with ‘icicles’ and snow-capped turrets. Even in Anaheim, snow will mark the occasion above It’s a Small World Holiday in Fantasyland, ensuring a colorful experience all-around. Have fun at Mickey’s Very Merry Christmas Party and then take a walk through Main Street, which is decked in Christmas decorations, seasonal music, and exciting color schemes. When visiting this woodland wonderland, you can meet good old St. Nick with elves along the trail to create an authentic Christmas feel. Witness this annual Disneyland Park tradition as you’ll see Mickey, Minnie, Woody, Buzz, Disney Princesses and many more spread some holiday cheer in this wondrous parade. Dancing gingerbread cookies, prancing reindeer, and marching toy soldiers will get you and your young ones jumpy for the season. Each section within the Park has its own decorations and themes, meaning Christmas will never get boring and you’ll have a greater variety of photos to take! You can also take a picture of the fully illuminated Sleeping Beauty Castle overnight, a picturesque spectacle that few others can match. Only 120 of these hand-pulled sweet treats are made each day. Head over to Candy Palace or Trolley Treats this November and December to get these peppermint sweets! When planning your Disneyland getaway this holiday season, make Tropicana Inn & Suites your holiday home away from home. Book your trip today!